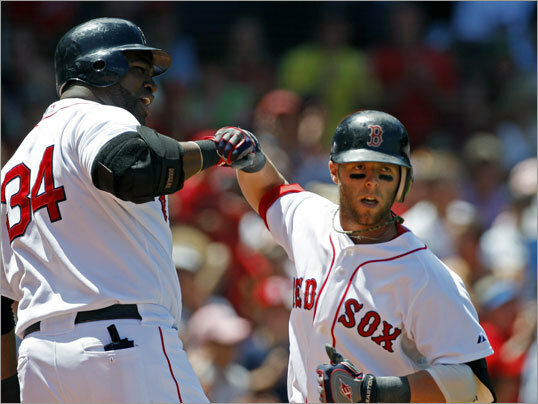 The Red Sox salvaged the final game against Seattle, using a 5-run seventh inning to beat the M's 8-4. Rasheed Wallace is going to play for the Boston Celtics next year. Get your whistles, ready. Jed Lowrie might be playing in Portland starting Tuesday. The Sea Dogs also managed a win against New Hampshire, yesterday.UPDATE: Jed Lowrie will be joining the team in New Hampshire today and is expected to be with the team when they come back to Hadlock tomorrow. Dustin Pedroia, Kevin Youkilis, Jason Bay, Johnathan Papelbon, and Josh Beckett will join Tim Wakefield on the All-Star team (in case you hadn't heard). Dan Lamothe is wondering if six Sox is too many.